Once Cabarete on the north coast of the Dominican Republic is experienced, it’s never forgotten. Life on the north coast of the Dominican Republic is unique, vibrant and full of cultures from all over the world. There is a steady, upbeat rhythm to life in our community and it can be seen in the strong connections that are built, the diverse cultural opportunities and the familiar faces that return here, time and again. 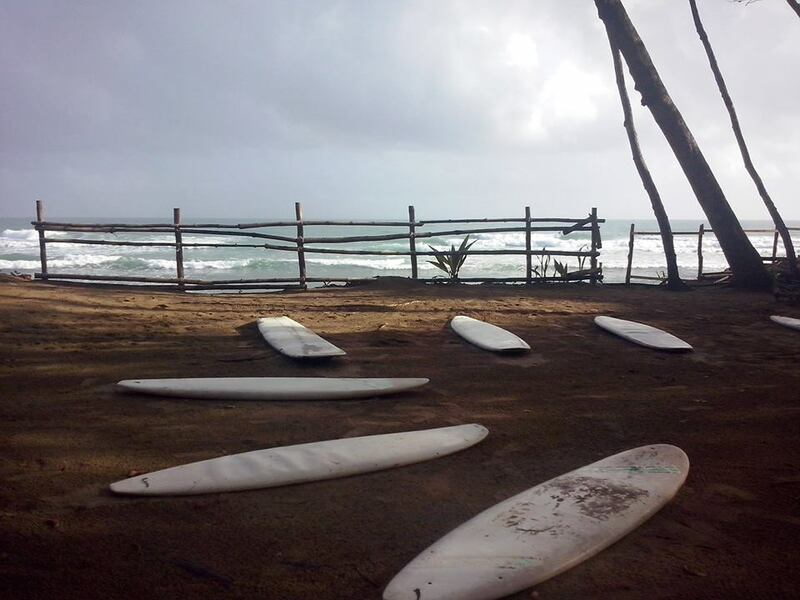 Cabarete is the poster child for how to create a work/life balance – and we are not scared to show it! 1. 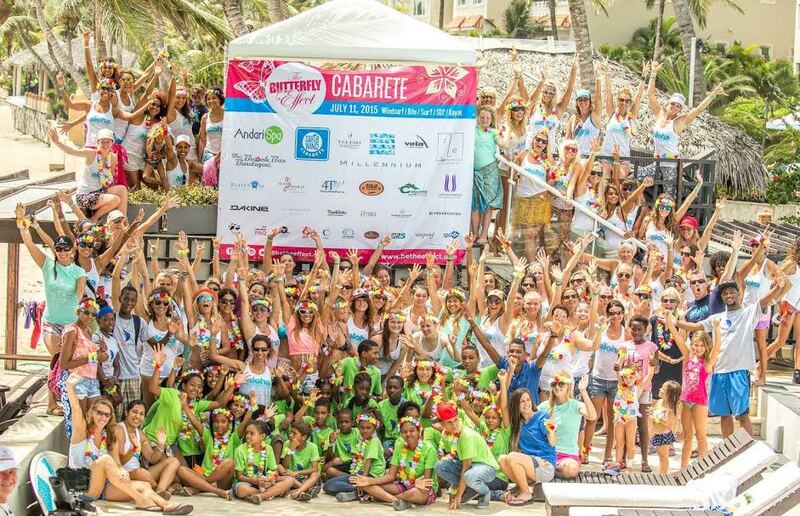 Cabarete hosts various world class events throughout the year. Many of them linked to water, waves, and wind. Events such as the Master of the Ocean, Cabarete Classics, and the always popular Butterly Effect. These events draw visitors from all over the world who come for both the competition and showmanship, as well as to relax and enjoy the laid back lifestyle of the community. 2. We are proud to say that we have a vibrant and lively local “scene” for music and the arts. Sunday nights bring the popular craft market to our beaches. 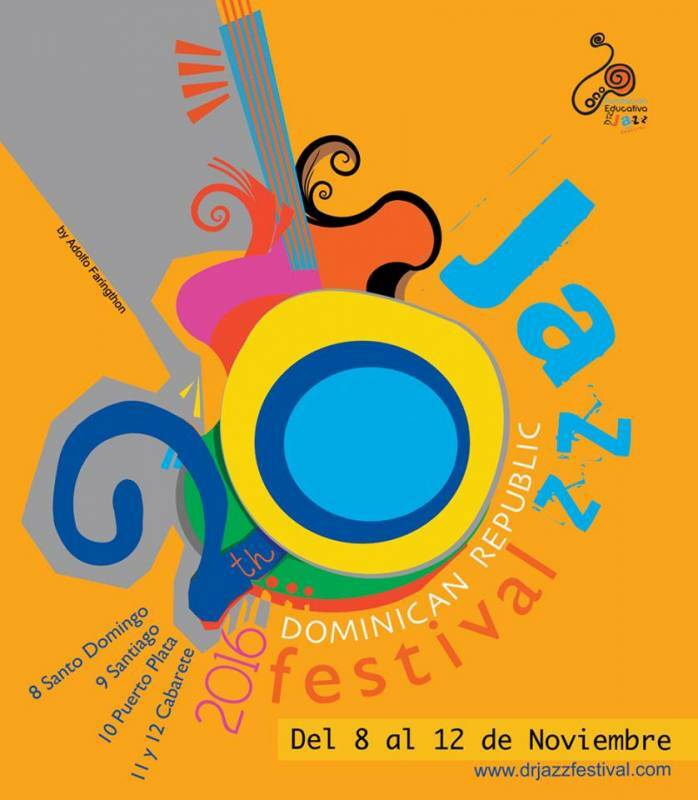 Long weekends often involve music and cultural festivals such as the Jazz Festival, various art shows, and craft markets. In addition to this, live music can be found almost ever night of the week and the performers are diverse and well-loved. From Jazz to Classic 80’s rock, we have it all. 3. Our community knows that we thrive when we support each other. From the popular Butterfly Effect (in support of women and girls in water sports around the globe) to community mentorship programs using Jiujitsu, performing arts, fine arts, and sports, we love to support each other. Our local residents wholeheartedly get behind local businesses and are quick to give recommendations whenever asked. 4. We are always open to new faces. We celebrate visitors and new residents – and it shows in how we treat them. Help or suggestions for where to find what you need is only a simple text or community post away from being resolved. Questions can be answered through community forums and simply by asking a neighbour. 5. Cabarete has a fabulous selection of restaurants for every possible dining budget and taste. Cabarete Dominican Republic restaurants vary from burgers, tacos, Sushi, and roadside pop up stands, to exclusive European fusion menus and wine cellars. We have it all. 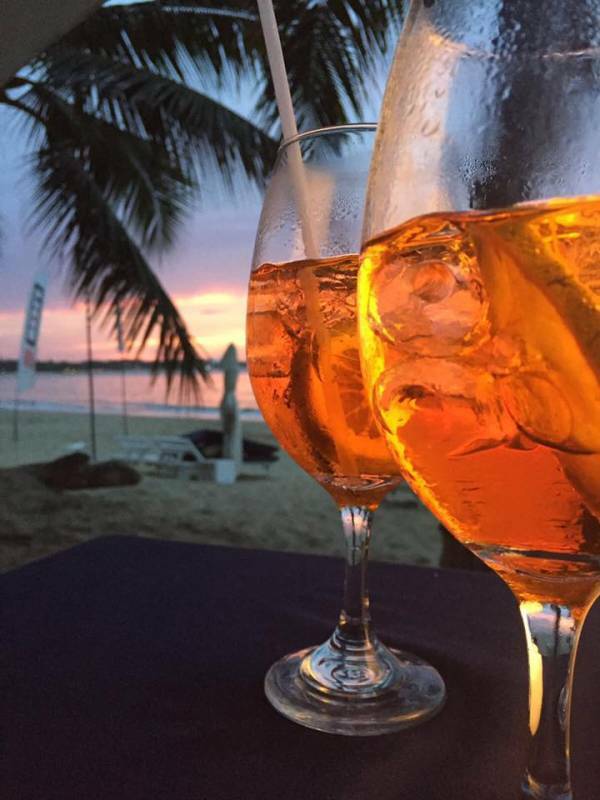 In addition to this, don’t forget that happy hour is every day all along the beach and the drinks never disappoint! 6. Life is always happening outside! The beach is a community of its own. Stretching out over 6 km’s, Cabarete beach and bay area is a playground for all things water and beach related. The weather is stable and you are guaranteed to run into friendly and familiar faces as you are out and about. 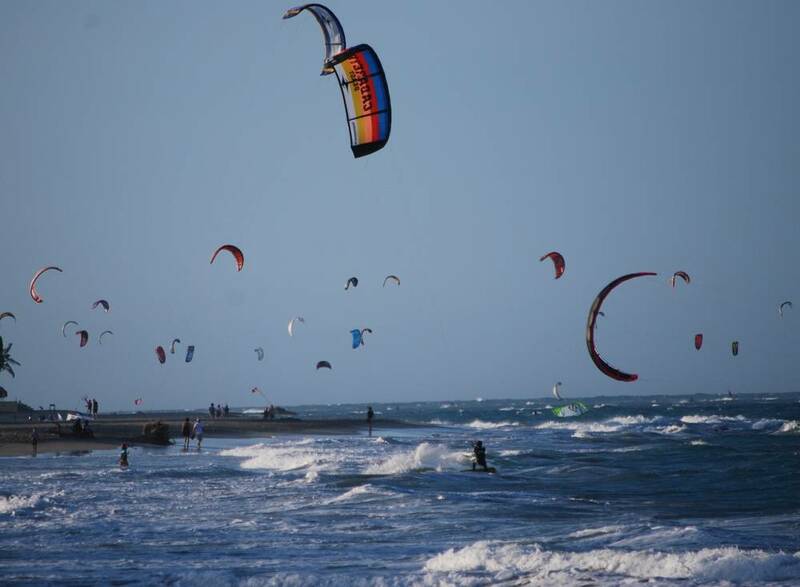 You might even catch a glimpse of some of our homegrown professional kiteboarders and windsurfers as they are out daily practicing in our backyard. In addition to this, there are daily opportunities to get in on yoga, cycling, circus arts and even organic farming markets and wellness classes. 7. The Cabarete Dominican Republic condo market is growing and expanding. New hotels and condos are steadily rising, yet the small town charm has remained strong. The people who live here understand the value of building a community. 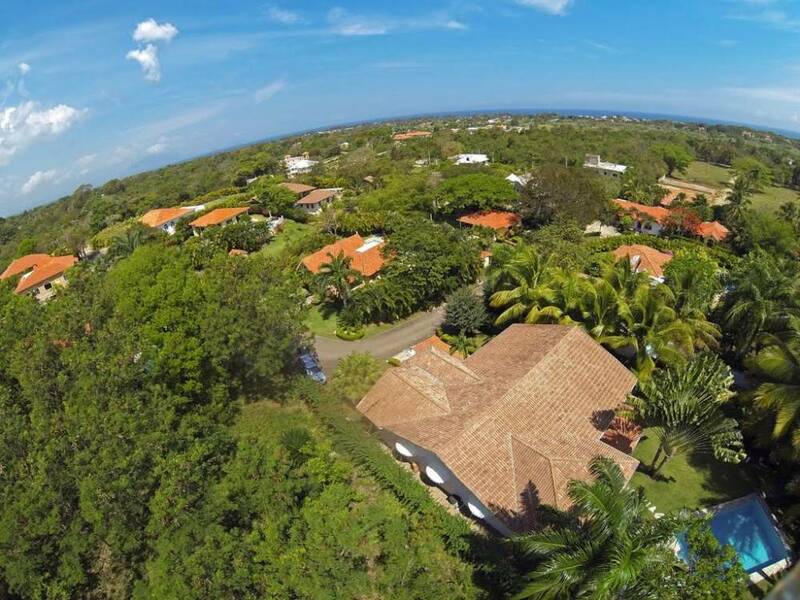 Because of this, Cabarete real estate is considered a very desirable place to own properties and reside in. From villas to investment properties, there is something for every budget. We have some favourites of our own. Check out this Luxury Condominium in Cabarete and this two bedroom Ocean Dream Condominium. Yoga Cabarete with Molly is the best! Molly O Meara began practicing yoga in 1993 while she lived in Aspen Colorado. Yoga first served as a complement to an active lifestyle, but soon became an integral part of her life. Now she is a dedicated Ashtanga practitioner in the tradition taught by the late Sri. K. Pattabhi Jois of Mysore, India, and her primary teacher, Paul Dallaghan of Koh Samui, Thailand. Now Molly is teaching for several years at the Yoga Loft at the Extreme Hotel in Cabarete and Molly’s class is a favorite for locals and guests. Molly is local but global. Molly believes that the power of yoga can transform lives. She honors those who practice for the first time as well as those with a daily practice. Her teaching style is warm and supportive and encourages students to explore beyond their perceived limitations by emphasizing proper alignment to maximize performance and prevent injury. Molly is forever a student and thoroughly enjoys all that she learns from those who practice with her. This is the place where you want to spend your vacation in the Dominican Republic – Book this luxury rental villa with us TODAY! A magnificent luxury rental villa located in a gated community near the town of Cabrera, an hour east of Puerto Plata on the north coast of the Dominican Republic. Amazing architecture combined with inspiring ocean and mountain views describe this fabulous mini-resort where a large family group, a wedding party or a group of friends may reside in luxurious surroundings. Amazing architecture combined with inspiring ocean and mountain views describe this fabulous mini-resort where a large family group, a wedding party or a group of friends may reside in luxurious surroundings. The resort-style pool, extensive terraces and private steps to a white-sand beach will thrill the senses. Spa offerings, full staff including chef and complete housekeeping services will set you free to experience the tropical lifestyle at its absolute best. The 8 sumptuous bedrooms are featuring each an ensuite bath and a fully-equipped game room. The home’s proximity to varied activities such as fishing, outback safaris, horseback riding and water sports will delight every member of your party. DISCOVER THIS WONDERFUL SOSUA FAMILY HOME ON THE NORTH SHORE OF THE DOMINICAN REPUBLIC WITH OUR 6 FAVORITE FEATURES. Many new homeowners in the Dominican Republic, prefer to have the comfort of living in a gated community that allows them the peace of mind that this choice is able to provide. 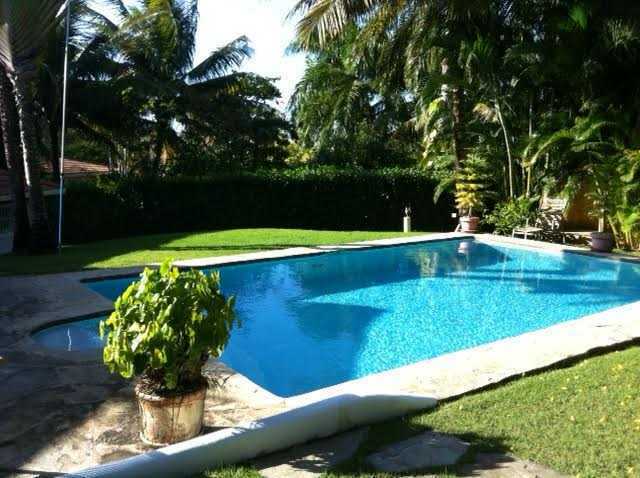 This particular FAMILY HOME is located in a family friendly oriented resort between Cabarete and Sosua. The management team is highly reputed for their great service, prompt assistance and dedication to facility maintenance. 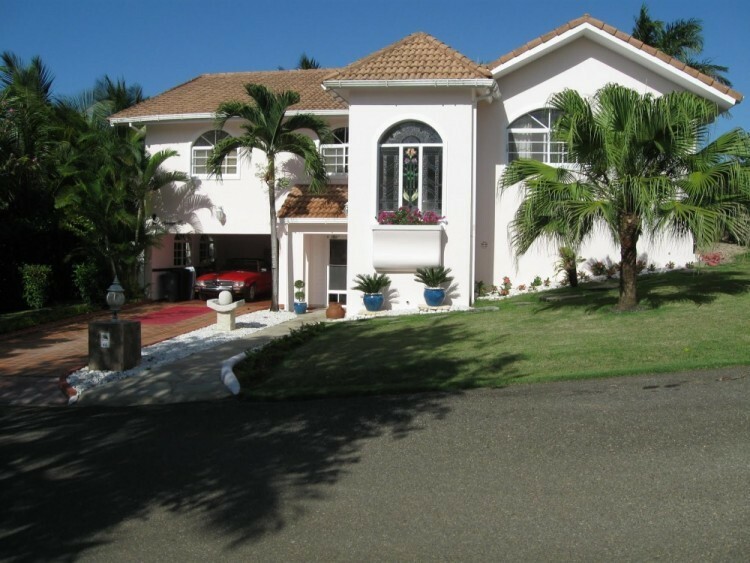 This Sosua family home has four bedrooms and four baths, with a den that could easily be converted into a fifth bedroom. PLUS, as a bonus, it also has an extra bedroom and bathroom that are separate from the house. The size of the house is ideal as a family home and, alternately, also an attractive VACATION RENTAL PROPERTY for groups or families looking for a place to host small, multiple family vacations. Rain gutters, storm shutters and awnings on appropriate exposures may not be top of mind when you are thinking of your Caribbean dream home, but you will be glad for them when you need them! This home really does take all of the elements into consideration, providing the homeowner ultimate peace of mind. 4. THE VAULTED CEILINGS MAKE IT A DECORATOR’S DREAM! Are you an art collector? This could be the home for you! Perhaps you love to embrace wide, open space and create a calming, Zen quality in your home? Or, it may be that you have a vision of filling this home with family and friends. Whatever you choose, this home can provide the space for it. The lovely galley kitchen is fitted with KitchenAid Appliances that are well maintained and suitable for this space. The furniture is all beautifully appointed and custom made. It has been sourced from Honduras, Guatemala, Mexico, Venezuela and Chile. The art is partially included and has come from all over the world. 6. 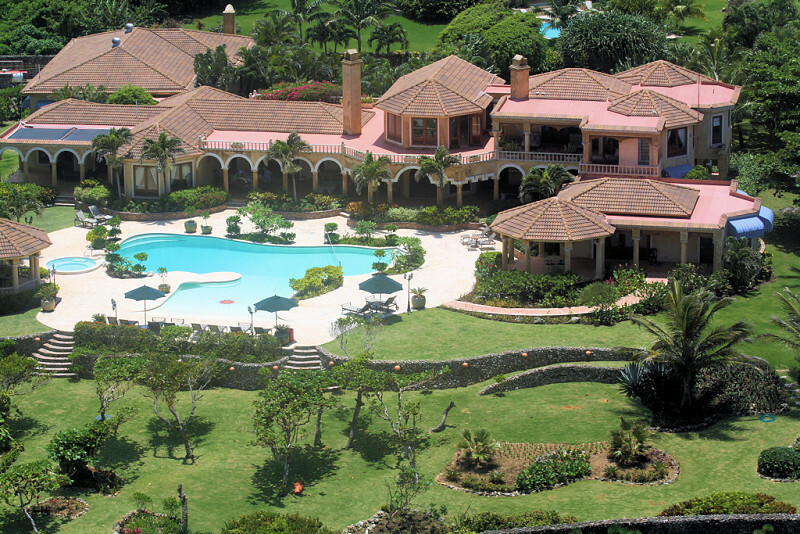 THE PRICE IS FABULOUS FOR THE SIZE AND LOCATION OF THE SOSUA FAMILY HOME AND PROPERTY! At $475,000 USD, it is hard to imagine that you will get a living space of 3700 square feet (350 square meters) AND a property of .75 acres (2968 square meters). The possibilities are incredible and it may not last long! Does this sound like a villa that could suit your dreams of PROPERTY OWNERSHIP IN THE DOMINICAN REPUBLIC? CONTACT US today and let us answer your QUESTIONS and tell you more about it!